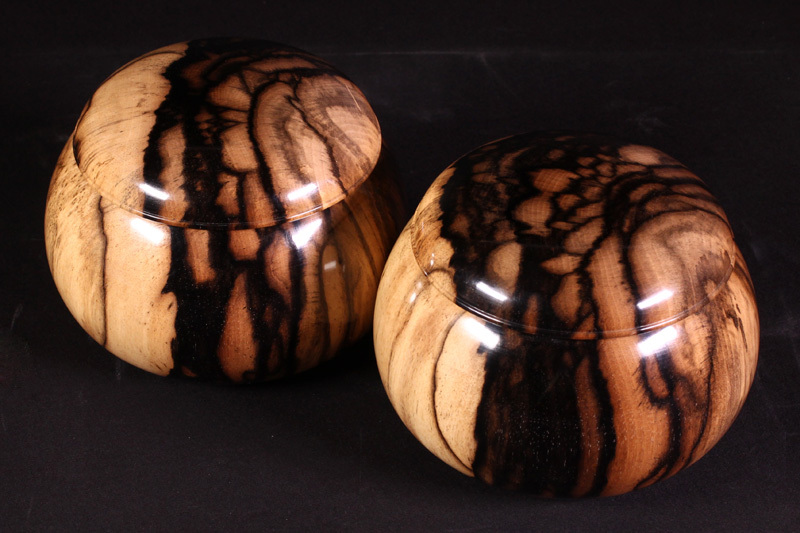 This Go bowl is made from black persimmon that has beautiful design with bold black stripes, which is very specific to Kuro Kaki. This is the only-one product. You will never be able to find the same one. You will be amazed by a distinctive natural contrast of white and black colors. We have fixed some naturally-formed wood dents. Please see the image.